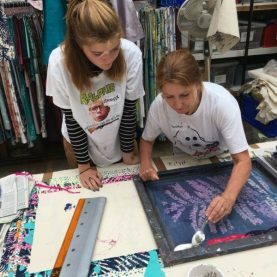 Interested in a screen-printing workshop with Clarissa Hulse? We have an all-day workshop available on Saturday 27th April! 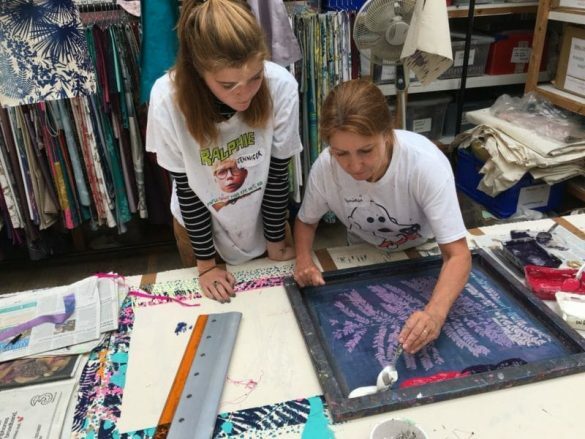 Learn the basics of screen-printing and colour mixing, print your own cushion, and pick Clarissa’s brains about her design process! 16.00: Glass of fizz to finish up! Dress for a mess and wear comfy shoes! You will be standing most of the day and pigment will likely get on your clothes and shoes. Due to time constraints you will not be exposing your own designs, but using screens from the Clarissa Hulse library of prints. Spaces on our workshop are limited (6 per day) and non-refundable. Click here to read some reviews of our workshops.